The notice was sent to the Aam Aadmi Party (AAP) following an alert by the Central Board of Direct Taxes (CBDT). 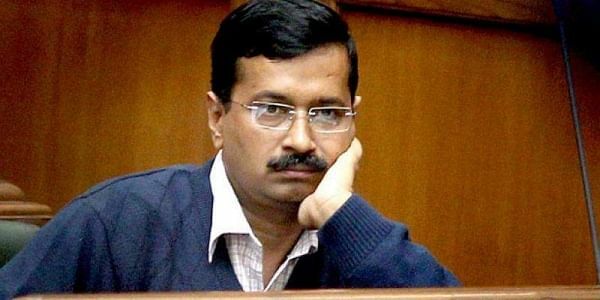 NEW DELHI: The Election Commission on Tuesday issued a show cause notice to the ruling AAP in Delhi, asking it to explain donation discrepancies in its 2014-15 financial report. The board had written to the poll panel in January that the donations filed by AAP with the income tax department and those filed with the commission had discrepancies. The AAP, according to the poll panel, submitted its 2014-15 "original Contribution Report" on September 30, 2015 and later a revised report on March 20, 2017. The first report contained a list of 2,696 donors with the total donations amounting to Rs 37.4 crore and the revised report showed the amount as Rs 37.6 crore received from 8,264 donors. "A report has been received from the office of the Chairman, CBDT, in January 2018 regarding the concealment of donations received by the AAP during Financial Year 2014-15," said the Election Commission notice. The notice, citing the CBDT report, alleged that the AAP bank account had recorded Rs 67.67 crore credits. "However, the party has disclosed total income of Rs 54.15 crore from donations in its audited accounts. Therefore, it has been held that Rs 13.16 crore has not been accounted for by the party and these donations have been held to be from unknown sources." The CBDT report stated that the party had taken Rs 2 crore from hawala operators which "have also been wrongly disclosed as voluntary donations". It alleged that the party had made wrong disclosures on its website and also furnished incorrect information. The report detailed how the party had changed or revised its Contribution Report once the correctness of the same was questioned. "In conclusion, its disclosures to the Election Commission are incorrect and... there are several discrepancies in the Contribution Report." The commission has directed the AAP to show cause as to why action should not be taken against it for failure to follow EC's directions and instructions. "Your representation should reach the office of the commission within 20 days (by October 1) from the date of receipt of the notice, failing which the matter will be decided on merits based on information available on record."